On the prospects for China's economy, it's easy to be wrong. We analyse unfamiliar things by comparing them with things we understand, but in its massive size and economic history, China is one of a kind. That's one conclusion I've drawn from a visit to China as a guest of the Australia-China Relations Institute, at the University of Technology, Sydney, and the All-China Journalists Association. In recent years people in the world's financial markets have gone from ignoring the Chinese economy to assuming it works the same way a developed economy does. Hence the consternation in global share markets last year and again early this year when China's share market took a sharp dive. Surely this meant its economy was in big trouble. Well, maybe, but not for that reason. China is still a developing, middle-income economy and its share market is a relatively recent creation of its government, lacking the strong links with the real economy we're used to in the West. 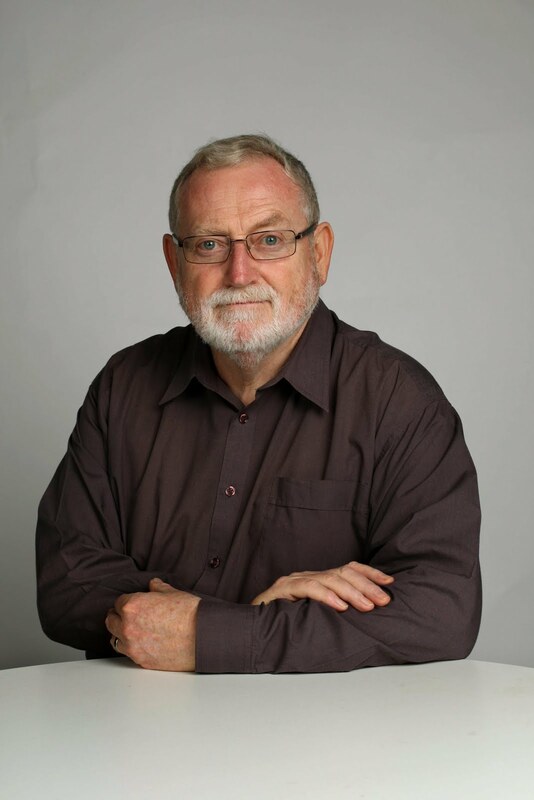 As Professor Peter Drysdale, of the East Asian Bureau of Economic Research at the Australian National University, has explained, the worth of China's share market is equivalent to about a third of its gross domestic product, compared with more than 100 per cent in developed economies. It accounts for less than 15 per cent of the financial assets of China's households, which is why formerly booming share prices did little to boost consumer spending and why falling prices will do little to hurt consumption, he says. The market is dominated by individual investors rather than financial institutions, as in the rich world, and Chinese companies don't rely on it for capital-raising. Much of the angst in the West over China's slowing rate of growth – from 10 per cent a year for many years to 6.7 per cent over the year to June – reveals an ignorance of how developing countries develop. Provided they're well managed, it's easy for underdeveloped economies to grow rapidly as workers move from the farm to a city factory and as existing Western technology is taken off the shelf and applied. But as the economy expands it becomes harder and then impossible to maintain such high rates of expansion. China's less dramatic growth rate of six point something is now "the new normal", as its government says. Further slowing is possible in the next few years. We in the developed world – where growth rarely gets much higher than 2 or 3 per cent a year – are so unfamiliar with such rapid growth rates that we forget the basic arithmetic involved. At a constant growth rate of 10 per cent, an economy doubles in about seven years. At a constant rate of 6.7 per cent, it doubles in about 10. Consider this: China's growth in 2005 of 11.3 per cent added $US338 billion to its size, whereas growth of 7.4 per cent in 2014 added $US708 billion. It's the absolute size of China's growth – its addition to gross world product – that matters most to the rest of the world. Another trap for foreign observers is to assume China has a market economy like ours, or that the Chinese government is busy turning its economy into a market economy. That's easy to believe when you're told that, in 2014, China's private sector produced at least two-thirds of its GDP, with the private sector creating more than 90 per cent of the additional jobs and with the public sector accounting for just 11 per cent of China's workforce (compared with 14 per cent in Oz). But China's economy is still far from being a market economy like ours, and it's not clear the Chinese government wants to make it one. Remember China's history. In the 1950s, following the Communist revolution of 1949, private property was expropriated and a planned economy established. All that began changing after 1979, when Deng Xiaoping initiated the far-reaching market-oriented reforms that have brought China's economy to where it is today. China's many remaining state-owned enterprises may not be as dynamic and fast-growing as its private sector, but they remain an important part of the economy. Indeed, they're a drag on the economy, often badly run with problems of overcapacity and overproduction. Many foreign economists are urging China to simply close or privatise its remaining SOEs. And it's true that reforming them would be an important part of raising China's productivity performance. But it's not clear this is the intention of China's President (and general secretary of the Communist Party), Xi Jinping. Some degree of reform may come, but it may involve adopting market mechanisms where thought appropriate rather than eliminating the government-owned business sector. Making China's economy the same as any Western developed economy is unlikely to be Xi's objective, even if the pressure of events causes it to continue drifting in that direction. China remains a one-party state, and the objective of that party is to remain in power. That may mean reforming rather than eliminating SOEs, which are run by party officials. Within the Chinese government, power is shared between the central, provincial and municipal governments, all of them run by party officials. Beijing's power is constrained. Xi is unlikely to initiate any big changes before the Communist Party's 19th national congress late next year, when he will be able to increase his grip on power. Economic reform and year-to-year economic management is guided by the 13th five-year plan. Growth in GDP is not just a measure of economic success, it's a political target. Most Westerners believe continuing economic development and rising living standards lead inevitably to democratic governance, and the cases of Taiwan and South Korea add support to this idea. But whether that applies to China remains to be seen. Certainly, it's a long way off. The safest prediction is that China will do its own thing in its own way. It's amazing to realise that the greatest threat to the success of the Turnbull government comes from the Liberal Party. Malcolm Turnbull's biggest enemies are inside his own government, not outside. If he's to make sufficient progress with controlling the budget and reforming the economy to warrant re-election in three years' time, he needs to mix budget restraint with fairness, and combine efficiency with equity. Only much later did Labor's true believers adopt Paul Keating as one of their heroes. And it was only by making uncharacteristic changes that Hawke-Keating came to be remembered as one of our greatest governments. The people making trouble for Turnbull within the Liberals seem to have learnt none of that. They haven't even learnt the lesson of their latest near-death experience: low and middle income-earners won't vote for you in sufficient numbers if they suspect you don't represent their interests. It's much easier to argue that Turnbull lost votes because his party had pushed him too far to the right than because he wasn't as far to the right as a noisy minority thought he should be. Turnbull lost votes partly because, to get the party's permission to rescue it from certain defeat under Tony Abbott, he had to agree to leave untouched various extreme policies the whole country knew he didn't believe in. Labor's Medi-scare was effective because Abbott's attempt to dismantle bulk-billing with his $7 co-payment exposed the party's lifelong antipathy to Medicare that a chastened and wiser John Howard had cloaked with his claim that the Libs were the best friend Medicare ever had. Turnbull's policy for the reform of superannuation tax concessions was the epitome of the carefully balanced policies we need more of if we're to have reform without fear of electoral defeat. It was a micro reform in that it reduced the tax system's distortion of saving choices, and it will contribute significantly to reducing the budget deficit, but do so in a way that reduces the concession to the undeserving well-off (including me) while making the scheme fairer to low income-earners and women. And yet the Liberal dissidents' greatest push is to modify the super reforms in favour of a relative handful of high-flyers. If Turnbull – and the more moderate, sensible elements of the parliamentary party – let this push succeed there could be no better demonstration of the party's instability and its continuing commitment to governing in favour of its well-off cronies, not ordinary voters. The first rule of Australian politics is that Aussies won't vote for extreme parties. That's why, over the decades, both sides have moved towards the middle ground. But it's remarkable to realise that, while Labor has been working hard to house-train its left wing, the Libs have been drifting further to the right, allowing extremists to dominate its state branches and more and more hard-liners to be elected to the parliamentary party. Too many in the party have become self-indulgent and inward-looking. Let's play favourites between Tony and Malcolm. Let's let the old men continue blocking the talented young and the female. Let's make the party utterly unattractive to the younger generation. In short, too many in the party have lost touch with electoral reality. In this they've been led astray by noisiness of their media cheer squad and the libertarian think-tanks. The Murdoch press has yet again demonstrated its inability to deliver the tabloid voter. If that doesn't give the Liberals pause for thought, nothing will. Apparently, big business thinks itself so virtuous – so synonymous with the nation's interests – that even the Libs owe it a living. Labor's Mediscare will have a benefit if it causes our politicians to think twice before they resort to "outsourcing" or "contracting out" the provision of government services, a practice that's led to a string of disasters. The pretext for Labor's claim that the Coalition was planning to "privatise" Medicare was the Turnbull government's intention to save a little money by shifting the processing of Medicare's many bank transfers from its giant cheque-writing agency, the Department of Human Services, to a private provider. We wouldn't even have noticed this back-office switch, but Malcolm Turnbull felt obliged to swear the proposal would be abandoned. This probably means he'll also have to give up any thought of outsourcing all the many other, pension, allowance and benefit payments the department makes. One reason for doing so was that the department's computer system is old and clunky and needing to be replaced – a prospect that always seems to frighten governments, especially those trying to keep their budget deficit low by postponing needed asset replacement. Since polls show the public is strongly opposed to all privatisation, it's not hard to imagine most voters wouldn't like the sound of outsourcing. But if this realisation comes as a surprise to the Coalition, it may also be a caution to Labor, which over the years has also engaged in much outsourcing. Much of it has gone on, at state and federal level. When a woman rang me the other day to do a government security check on someone I'd worked with, I was surprised to hear she worked, not for ASIO, but for a Canberra company called Key Vetting Services. In principle, it's very simple. You call for tenders and if a private outfit can do the job more cheaply than your public servants can, you give it the job. In practice, it's never simple. For a start, you can't be sure that what we're assured is saving the taxpayer money really is, once you measure it properly. For instance, one of the ways federal and state governments seek to retain their AAA credit ratings is by using "public/private partnership" agreements to have the borrowing for motorways and other big projects done by some private enterprise. This way, the debt appears on its balance sheet rather than the government's. Small problem: hiding the government's debt in this way ends up being far more costly to taxpayers. The oh-so-holy credit rating agencies turn a blind eye. Federal and state departments spend a fortune each year on private sector consultancies. It's possible this saves money. But it's also possible it was done to get around some directive to reduce staff numbers and is actually more expensive. Or maybe they got rid of people they later realised they couldn't do without, and had to pay top dollar to get 'em back. Another dubious scheme is the sale and lease-back of government offices. The budget deficit takes a big dip in the year you sell the office off, but is worsened in subsequent years by the big rents you now pay. These schemes are notorious for the outrageously good deals used to entice private sector players to take up the properties and rent them back. A related version of outsourcing follows the notion that the provision of government services should be made "contestable". Services normally provided by government agencies or by non-profit community groups are opened up to for-profit providers. Successive governments have done this with Job Services Australia, childcare centres and vocational education and training. The pink batts scheme was left entirely to for-profit providers. With childcare, the government let one aggressive provider, ABC Learning, take over more than half the nation's centres before collapsing, at great inconvenience to parents and expense to taxpayers. The disaster from the outsourcing of VET – again, federal and state – is still being cleaned up. The loss of future trained workers may hurt the economy for years. Many people assume the private sector will always do things more efficiently – or less inefficiently – than those tea-drinking public servants. Maybe. The private sector has a big advantage over the public sector: it has just one objective, to make a buck. But what those who think this way often forget is that private sector tenderers have to undercut the public service's price and make room for their profit, which they hope to make as big as possible. Often they do this by cutting corners on the quality of the service they deliver. Leave a loophole in your contract and they'll jump right through. The public sector's big disadvantage is also its big advantage: it always has a range of objectives, imposed on it by politicians who know that voters will hold them responsible should the service prove really bad. And here's a point you won't find in any textbook, but all the stuff-ups of recent years should have woken us up to: when you give businesses access to the government's coffers, a surprisingly high proportion of them lose all sense and start acting like robbers in Aladdin's cave. Witness: all the unsafe behaviour by outfits trying to make a killing in the pink-batt boom; all the operators using inducements to sign up students for unsuitable courses, the costs of which were borrowed from the government; all the operators using the lure of permanent residence to rip off foreign students with phoney courses. I also suspect that, for the Coalition, there's an additional, political motive: outsourcing some government service shifts economic activity to private enterprise, the part of the economy whose interests the Coalition champions, and to the people who are your friends and donors. If so, why does outsourcing also need to save the taxpayer money? The Turnbull government's intention to implement the Harper competition report's proposal for greater contestability in the delivery of "human services" is now likely to be approached with caution. No bad thing. Maybe those who complain about a boring election campaign are condemned to an exciting election finish. Many in the establishment – particularly the business establishment – have convinced themselves the country is off to hell in a handcart, but it doesn't have to be like that. The nation won't be ungovernable provided Malcolm Turnbull is willing to negotiate with the minor parties when necessary – hardly a new experience for governments, which rarely have a majority in the Senate. Nor does it follow that the government will be unable to hasten the budget's return to surplus. As a study by the Australia Institute has demonstrated, much of this year's budget can be legislated, particularly with a little compromise. In any case, the budget is not the economy. And, contrary to any casual impression you may have absorbed, the prospects for the economy remain reasonable. Brexit is bad news for the Brits, and adds to Europe's many problems, but it's not big enough to greatly affect the rest of us. The US economy is gathering speed. The messy election result won't have much effect on the economy. Business loves whingeing about "uncertainty" – when it's got nothing else to do or say, that's what it does – but the period of transition from the mining investment boom is getting towards its end and, as it does, the rest of business will be getting on with it. The economy has been growing at a rate that's about average, and the best guess is it will continue doing so. It has been creating additional jobs and this should continue. For all that, however, there are messages for politicians on both sides from this election. How well they listen will determine how well we are governed over the next three years. The first message comes from the continuing decline in people voting for the major parties. The proportion of voters giving their first preference to a minor party reached almost one in four. This is not surprising when you remember how standards of conduct have fallen: the broken promises, the scare campaigns, the negativity and automatic opposition to whatever the other side says, the statements that are true in some sense but have been crafted to mislead. The plain fact is that the mainstream politicians have forfeited our trust and lost our respect. Many of us have concluded they're all liars, and we tune out whenever they start slagging each other off, or arguing about who has the bigger hole in their costings. They could save themselves much energy if they learnt not to bother doing this. The message for the government is that it must broaden its appeal if it wants to attract a comfortable majority of two-party-preferred vote. Any lapse into infighting between Abbott and Turnbull supporters will be the final proof the Coalition is no different from Labor. The Coalition campaigned on its plan for jobs and growth (which boiled down to a cut in the rate of company tax), while Labor campaigned on the public's worries about cuts to government spending on education and health. Labor's success in this argument explains why it did so much better than expected. The Coalition suffered from the lingering resentment and suspicion provoked by Tony Abbott's first budget, which attempted to fix the deficit almost solely through cuts to the spending on health, education and welfare depended on by low and middle income-earners, while protecting the earnings of businesses supplying services to government and the tax breaks enjoyed particularly by high income-earners. Many of those measures were abandoned, though some remain "zombie measures", rejected by the Senate but still on the government's books. The message for the Coalition is obvious: it must switch to budgeting for all Australians. That means tax increases as well as spending changes that seek genuine efficiencies in contracting with business suppliers (drug companies, for instance), not just cost-shifting to the public. The message for Labor is that its strategy of not being as obstructionist towards the government as Abbott in opposition was towards it, and of making itself a big target in the election by proposing "positive policies" (such as limiting negative gearing), worked well. So now is not the time to revert to Abbott-like spoiler behaviour – if I wreck the joint they'll have to give up and hand over to me. When they combine, the two sides can get anything through the Senate. Labor can win itself voter respect for being sane and sensible without bowing to the government's every wish. It can help with the compromises. And when the government's fighting the good fight against powerful interests (such as the two big pathology companies, and the Coalition greedies​ making spurious claims about retrospective super changes) it can resist the unworthy temptation to take advantage of it. With Labor now hopeful of winning next time, any budget nasty it helps the government fix now will be a problem it won't have to fix then. Sorry, but I've put Standard and Poor's and the two other big American credit rating agencies on a negative watch. For me, the rating agencies' involvement in the global financial crisis has destroyed their credibility forever. I can no longer take their solemn pronouncements seriously, nor hear them with the reverence or contrition they imagine themselves entitled to. The rating agencies were one of the private sector institutions charged with upholding standards of behaviour in America's financial markets, putting investors' interests ahead of their clients' and their own. They were supposed to be a bastion against crisis and collapse, but they betrayed their trust. The way their system works is that institutions wishing to borrow money by issuing bonds or other securities have to pay rating agencies to give those securities a rating of their credit worthiness. The agencies' job pre-crisis was to be the hard-headed wise men who could see through the smoke and mirrors created by "innovators" on the make. They failed. While everyone else in Wall Street was making money hand over fist, they didn't resist the temptation to get in for their cut. They obliged their paying customers by awarding AAA credit ratings to securities subsequently exposed as "toxic debt". In the process, they exposed the obvious conflict of interest involved in the common practice of governments attempting to protect the interests of investors and others by requiring businesses to buy "independent" certification from other businesses. To an extent, governments around the world give the rating agencies a captive market by requiring certain organisations to hold only those securities certified as AAA. This was how some Australian local councils got sucked into America's toxic debt crisis. Trouble is, with this monumental blot on their record, we can no longer be sure what game the ratings agencies are playing and in whose interests they act. In the case of government ("sovereign") borrowers, the agencies take it upon themselves to issue ratings. They then have the temerity to present the government with a bill for their services, though no self-respecting treasury pays up. They seem to be pretty tough on government borrowers, though the lines they draw between safe and unsafe levels of debt seem pretty arbitrary. What I wonder is if they have higher and holier standards for government than they have for their private sector fellows. Why not? Everyone in business (and a lot of people in treasuries) know that governments, because their actions are not the product of market forces, are therefore non-rational and prone to being either mad or bad. The agencies want us to believe their deliberations are highly scientific and sophisticated, applied consistently across the world. But it's open to doubt how true that is. After all, many of us believed the line that the whole towering edifice of ever-multiplying derivatives and synthetics built up before the financial crisis was the product of amazing advances in statistics and the science of finance, which had rendered us far smarter than we used to be at "managing risk". When it comes to signalling changes in the riskiness of particular borrowers, the agencies purport to be the leaders: their vigilance causes them to be the first to see the problems looming, with the market following their lead. But it's common for the market to turn against some borrower, leaving the agencies scrambling to adjust their ratings to fit. Are they just purveyors of conventional wisdom? Whenever a downgrading of one of our governments is threatened, the media unfailingly assure us this would be a bad thing because the government would have to pay higher interest on its debt. If this is still true, it's much less so than it used to be. And if there is still a premium to be paid, it's smaller than it's made to sound. The rating agencies' loss of authority since the financial crisis is evident. When, in 2011, in a rush of blood to the head – or maybe a touch of the megs​ – Standard and Poor's announced it had cut the US Government's credit rating to AA+, the other two did not follow suit and the market took not a blind bit of notice. The yield (interest rate) on US Treasury bonds continued falling. Moral: don't try to get smart with the world's reserve currency. But something similar happened when the three agencies downgraded Britain to AA- in the wake of the Brexit vote. Yields on British bonds have since fallen, along with those of other "sovereigns", including us. Sometimes there are forces more powerful than a bunch of for-profit rating agencies. Now it's likely the Turnbull government will scrape back to office, what's next? What will it do to improve our economic prospects? Malcolm Turnbull went to the election offering a "national plan for jobs and growth" that was supposed to secure our future. Trouble is, it now looks unlikely he'll be able to implement the centrepiece of that plan, the phased reduction over 10 years of the rate of company tax, from 30 per cent to 25 per cent. Unsurprisingly, the proposed cut in company tax did not impress the voters, who think companies are paying too little tax, not too much. Labor opposed the cut, save for the immediate reduction to 27.5 per cent for genuinely small business. With the government now facing an even more hostile Senate, it's unlikely Turnbull will get any more than that. This would be no great loss in the quest for jobs and growth. The government's own modelling suggested the tax cut would do virtually nothing to create jobs, and the boost to growth in Australians' incomes would be tiny and come only after a decade or three. But what about the other parts of Turnbull's "five-point plan"? It's a muddle of things that will be done, things already done and a point saying what the plan will achieve. Point one is "an innovation and science program bringing Australian ideas to market". Already done; benefits likely to be modest. Point two is "a new defence industry plan that will secure an advanced defence manufacturing industry in Australia". Or a highly protectionist and costly way of buying votes in South Australia, of debatable defence value. Point three is "export trade deals that will generate more than 19,000 export opportunities". This refers to preferential trade deals already made with Japan, Korea and China. As my colleague Peter Martin has demonstrated, this is one of the big lies of the campaign. Such trade deals usually add more to our imports than our exports (which, of itself, is no bad thing). Point four is the company tax cut and point five is "a strong new economy with more than 200,000 jobs to be created in 2016-17". This is just Treasury's budget forecast for growth in employment. Few of those extra jobs would have been "created" by anything the government did. Get it? The "plan for jobs and growth" is a (now-thwarted) plan to cut company tax, plus a lot of packaging. That is, Malcolm Turnbull has no plan. And, as we've been reminded by noises coming from one of the credit rating agencies, nor does he have a plan to get the government's budget back to surplus anytime soon. His projection of that happening in 2020-21 relies heavily on a host of forecasts and assumptions. Many people conflate the need for action to get the budget back to surplus with the need for "reform" to hasten our rate of productivity improvement and economic growth. The two are related, of course, but they're not the same thing and we should consider them separately. Remember that whereas productivity improvement is what you could call a "positive" objective, leaving us clearly better off materially, fixing the budget is a "negative" objective – it would just reduce the risk of problems down the track. Obviously the longer we take to get back to balance, the more our interest bill grows. If this arises from borrowing to cover recurrent spending at a time when the economy is back to growing at about its trend rate, this is a bad thing. However, if the borrowing is needed to cover spending on infrastructure (as you discover is largely the case when you study the information buried on page 6.17 of the budget papers) this is no cause for concern – provided the money hasn't been spent wastefully. The cost of any credit rating downgrade is overrated, but it is true that, if we've got the budget back to surplus by the time we're hit by the next recession, we'll feel freer to respond as we should: allowing the downturn to push us back into deficit and adding temporary stimulus spending on the top. Getting the budget back to surplus will do nothing to create "jobs and growth". Indeed, if you go about it the wrong way, it could come at the expense of jobs and growth. A lesser-known point is that improvements in our productivity performance do little to improve the budget balance. That's because it does about as much to increase government spending (directly and indirectly) on public sector wages and wage-indexed welfare payments, as it does to increase economy-wide wages and profits and, hence, tax collections. As he casts about for a real plan to implement in the coming term, Turnbull should remember the thing that does help both the budget and Jobson Grothe: increased participation in the workforce. This truth was lost when Turnbull was led astray by the rent-seeking of the Liberals' generous big business supporters and their obsession with cutting their own taxes in the name of "reform". So one obvious place for Turnbull to start is with women. The Abbott government made a good start with the reform of childcare subsidies, but this has been blocked in the Senate because of the insistence on linking it with a crazy attempt to save money on paid parental leave in a way that would discourage employers from offering paid leave at their own expense. The government should ensure that lack of available childcare isn't limiting young mothers' participation and continuing progress in their careers. It could do much more to reduce the amazingly high effective marginal tax rates that discourage "secondary earners" (aka married mothers) from moving from part-time to full-time. And then it could take a more careful run at winning public support for raising the age pension age to 70. We can get on with a slow phase-in, or wait until it's unavoidable. The success of Labor's "Mediscare" in this election is worrying - but not for the reason you may imagine. Its greatest effect may be to fatten the incomes of medical specialists and corporate medical suppliers. Scare campaigns are often effective politically, but they can impose a high price on the country's good government. Tony Abbott's highly successful scare about depredations of the carbon tax at the last election has left us bereft of an effective and relatively low-cost means of reducing our greenhouse gas emissions at a time when climate change is worsening and we've been obliged by international pressure to agree to a tighter target. Bill Shorten's claim that the Coalition is bent on privatising Medicare could leave us with politicians of all colours lacking the courage to do anything to restrain the rapid growth in federal and state spending on healthcare by insisting on greater efficiency and more realistic charges for medical services. The people who work in the House with the Flag on Top take just a few days after an election to reach agreement on why the winners won and the losers lost. Right or wrong, this conventional wisdom sticks in the minds of pollies on both sides for many years. Should the politicians conclude that the wrath of voters will descend on any government caught making any change that could, by any stretch, be described as privatising Medicare, the people making excessive incomes out of healthcare will be laughing and the rest of us will be paying. Labor's Mediscare was more subtle than Abbott's crude claims that the carbon tax would wipe out Whyalla and lift the price of a lamb roast to $100. Its distortion and exaggeration was based on the meaning attached that emotive word "privatisation". We know from repeated polling that voters overwhelmingly disapprove of all privatisation. The righteous indignation with which ministers condemned Labor's claim as "extraordinarily dishonest", an "absolute lie" and "some of the most systematic, well-funded lies ever peddled" rest on a narrow interpretation of the word. Privatisation means taking a profitable government-owned business and selling it off to private interests. Since Medicare isn't a profitable business, the claim is absurd. Labor, however, was using the word more broadly to mean any change that involves reducing the role of government and increasing the participation of private businesses. Its pretext for making its claim was the Turnbull government's intention to save a little money by shifting the processing of Medicare's many bank transfers from its giant cheque-writing agency, the Department of Human Services, to a private provider. But the effectiveness of this scare - and the vehemence of the Coalition's denials - rests on its large element of truth. Labor was relying on voters remembering Abbott's broken promise to leave Medicare untouched with his first budget's plan to impose a $7 co-payment on pathology tests and GP visits. The outcry forced him to abandon that plan. In subsequent budgets, however, the government has sought to achieve savings by ending the extra bulk-billing incentives paid to providers of pathology tests and by continuing from 2014 until 2020 the freeze on increases on the schedule fees doctors receive under bulk-billing. Here the doctors' union has been doing Labor's work by scaring their patients with claims this would force them to abandon bulk-billing and charge big co-payments. This is untrue in the case of path tests (where the schedule fee far exceeds the costs incurred by the two big public companies that bulk-process three-quarters of our tests) and greatly exaggerated in the case of the continuing freeze on schedule fees. But what does the public take the word Medicare to mean? I think we're mainly referring to bulk-billing and the federal grants for state government public hospitals, which are conditional on hospital services being free of direct charge. The public loves bulk-billing because it provides the illusion of something for nothing. But the Coalition has decades of hostility to bulk-billing. The $7 co-payment was an attempt to break it down immediately and the continuing freeze on schedule fees will break it down slowly. This was the element of truth in Mediscare. What's more, the Coalition still plans to press on with most of Abbott's cuts in grants for public hospitals of $57 billion over 10 years. The public's attachment to bulk-billing may be irrational, but health economists have two rational reasons for wanting it to survive. First, it adds to the overall efficiency of the healthcare system by reducing the amount doctors need to spend on billing and collecting money. This is why doctors' initial opposition to bulk-billing turned to support. Second, because its continuation is so valuable to doctors, bulk-billing gives the government of the day the ability to limit the annual increase in GPs' and pathologists' fees - provided it doesn't push the doctors too far. Ever-rising healthcare costs are the biggest single threat to combined federal and state budgets. There is scope for the removal of inefficiencies that do more to line medical pockets than benefit patients. In every case, doctors will resist the removal of those inefficiencies by telling their patients it's an attack on Medicare, not the doctors' wallets. That's why the success of Mediscare is a worry. Assuming the government scrapes back in, this surprisingly poor election result for the Coalition carries hard lessons for politicians and those who seek to influence the policies they pursue: business people, economists and econocrats. In this election economic issues dominated, and those hard lessons are about economic management and economic reform: what voters will let you do and what they won't. It was a fight between a "national plan for jobs and growth", and health and education. Guess what? Spending cuts lost more votes than tax increases did, or than tax cuts won. The temptation to explain the Coalition's disappointing result in terms of personalities ("I've never liked Malcolm and now I have proof") and poor political tactics, shouldn't be allowed to obscure the lessons for economic policy. There are two. First, the strategy of trying to fix the budget deficit solely on the spending side has been a dismal failure. Only a more balanced approach is likely to be politically acceptable. The Coalition will do itself a disservice if it believes its own bulldust that it did so poorly purely because of the success of Labor's big lie about privatising Medicare. More on that another day. The strategy of the Abbott government's first budget was to return the budget to surplus by cutting government spending while avoiding tax increases or cuts in tax concessions almost completely. The public's reaction was so hostile Tony Abbott was rendered unre-electable. But, though few of those measures went through, Scott Morrison has persisted with the strategy by repeatedly claiming the budget has a spending problem, not a revenue problem. Such a strategy involves fixing the budget at the expense of low and middle income-earners, while largely shielding high income-earners and business. The political arithmetic of this was always what Sir Humphrey would call "courageous" and so it proved on Saturday. Remember, the Turnbull government's plans still included huge cuts in grants to the states for public hospitals and schools, plus measures doctors claimed would force them to stop bulk-billing. Plus an unspecified future increase in university fees. Many voters would also remember the enormous stuff-up of the attempt to privatise technical and further education. On the other side of the budget, the Coalition has acted as though fixing the deficit by increasing taxes or cutting tax concessions was economic and political anathema. This is nonsense - as the election shows. The government actually went to the election with plans to increase taxes, on tobacco and on multinational companies, which drew no criticism. Its plan to cut superannuation tax concessions drew noisy criticism from a few people who would never have not voted Liberal. Its heavy past – and future – reliance on bracket creep drew no criticism. Nor did Labor's plan to continue the temporary "budget repair" levy on high income-earners. Point is, the Coalition's willingness to propose tax increases came only to help pay for its planned phase-down in the rate of company tax, not as part of its efforts to return the budget to surplus. It lost votes for wanting to cut company tax, thus reducing any political benefit from its plan for jobs and growth. In any case, the cuts are now unlikely to get far in the Senate. Message: we won't achieve much in fixing the budget until we're prepared to increase tax as well as cut spending and, in the process, share the burden more fairly between the top, middle and bottom. The election result's second lesson is that, in our efforts to make "reforms" that increase economic efficiency and improve our productivity, we should stop gratifying rent-seeking by big business and start listening to other advice, including the majority of recently polled economists saying the long-run growth dividend from spending on education is greater than an equivalent amount spent on business tax cuts. We should abandon the voter-rejected experiment with reform via tax changes and shift to productivity-enhancing reform of education, infrastructure and, would you believe, health (because health is one of our biggest and fastest growing industries, but quite inefficient). If you think this conflicts with all I've just said about repairing the budget in ways voters will accept, it's clear we – and, more particularly, our pollies and their econocrat advisers – have a lot more thinking to do. Lifting our productivity via education, infrastructure and health doesn't have to involve spending a lot more on them, and may well involve achieving slower rates of spending growth. That's because it mainly involves making spending in these areas more efficient and effective. That is, genuine reform, not just the mere cost-shifting we tried – and voters have rejected. There's a great weakness in the (otherwise sound) argument that borrowing for infrastructure is a good thing, adding to demand in the short term and improving productivity and supply in the medium term. We should be doing a lot more of it, which would impose no unfair burden on our children. That weakness has been exposed by the election campaign. Marion Terrill, of the Grattan Institute, has looked at the parties' promises to build new transport infrastructure and found that a lot of them would be a waste of money. If so, all bets are off. The fancy arguments don't work if the projects are chosen for their ability to buy votes rather than for the value of their contribution to improving our transport. On some measures, by the way, transport projects – including roads, rail, ports, public transport, airports and bicycle infrastructure – account for about 70 per cent of our total infrastructure effort. They leave out the national broadband network and state spending on water and power. With the two big parties committed to returning the budget to surplus, to changing the mix of government spending in favour of capital rather than recurrent spending, and to using the expertise of Infrastructure Australia to improve the evaluation and selection of projects, you might expect – especially if you'd just arrived from Mars – to find all this influencing the promises they made at this election. It will amaze you to learn that, come elections, the parties don't practise what they preach. One of the biggest steps towards getting more economic benefit from our infrastructure spending was the establishment by Kevin Rudd in 2008 of the semi-independent Infrastructure Australia. The Coalition has fully supported it and various states have set up similar bodies. As Terrill says, now we've got IA, the parties' selection of projects should be simple. It examines projects worth more than $100 million that are of national significance. It assesses the "business case" – buzzword for a cost-benefit analysis – of such projects and sorts them into three categories. Those that are fully assessed and pass the test are classed as a "project". Those that fail their full assessment – that are judged not worth doing – have their evaluation published on the IA website. Those that are yet to be fully assessed are classed as an "initiative". A case in point is the Melbourne Metro Rail. Terrill examined the Coalition's list of transport promises (worth $5.4 billion) the Greens' list ($6.5 billion) and Labor's ($6.7 billion). The Greens have no projects that are IA-approved, and almost half the cost of their promises is for schemes that aren't even being assessed. Only the tiniest part of Labor's spending is on IA-approved projects, with about a third going on schemes it isn't even looking at. Of the three parties, the Coalition has the highest spending on IA-approved projects and the lowest on schemes it isn't assessing. Even so, most of its spending would go on initiatives still being assessed. In other words, all three parties have selected their projects with little reference to the IA's evaluations. In fact, they make a mockery of the IA process and its efforts to ensure taxpayers get value for money, which they profess to support. But why? In a word: politics. For a fuller answer, Terrill offers circumstantial evidence. One clue is that both big parties have plenty of projects worth less than $100 million each, which thus can't be assessed by IA. Whether it makes sense for the federal government to get involved with such small-beer projects when they can be handled by state and local government is a good question. Another clue is that there are only six projects on the IA's list of things worth doing: the WestConnex motorway and the M4 motorway upgrade in NSW, the Ipswich motorway and the M1 Pacific motorway in Queensland, the Perth freight link in Western Australia and the Brisbane-to-Melbourne inland freight railway. The Coalition has only four of these on its list of promises. Labor has just one. The Greens have none, having chosen to nominate one major public transport project in each capital city. One of the six worthwhile projects – the Sydney M4 motorway upgrade – isn't supported any of the three. Clue three is that Australia is a federation of states and territories. Clue four is that parties attain government by winning the most electorates. Though it may be that some states don't have any projects of national economic significance while others have quite a few, it wouldn't be surprising to see projects being spread across the states in a way that roughly fits their shares of population. Sorry, doesn't fit. Terrill divides the value of the three parties' promised projects between the states, ensuring no double-counting. Queensland gets the most and Victoria gets quite a bit more than the larger NSW. WA also gets a disproportionate share. Actually, she says Queensland has been getting more than other states for a decade. Maybe it's the state where elections tend to be won or lost. Whereas almost all of the projects IA approves are in capital cities – improving commuting and connections with ports and airports – the two main parties prefer to spend in the regions. Perhaps the regions have more marginal seats (or National Party electorates needing to be squared away by the Coalition). The Coalition is promising $185 million to duplicate the Princes Highway from Winchelsea to Colac in Victoria, which IA has found would yield benefits worth 8¢ for every $1 spent. You don't have to be Einstein to conclude a lot of spending on capital works – federal and state – is used to buy votes, not to make worthwhile additions to our infrastructure than improve our productivity. If so, such spending will leave a burden for our kids.